I’m sure many of you know Spring is the best time to sell your home. But, did you know that preparing your home for the spring market can make a huge difference – in both the number of dollars in your pocket and time on the market? It turns out, a little preparation can go a long way with homebuyers. 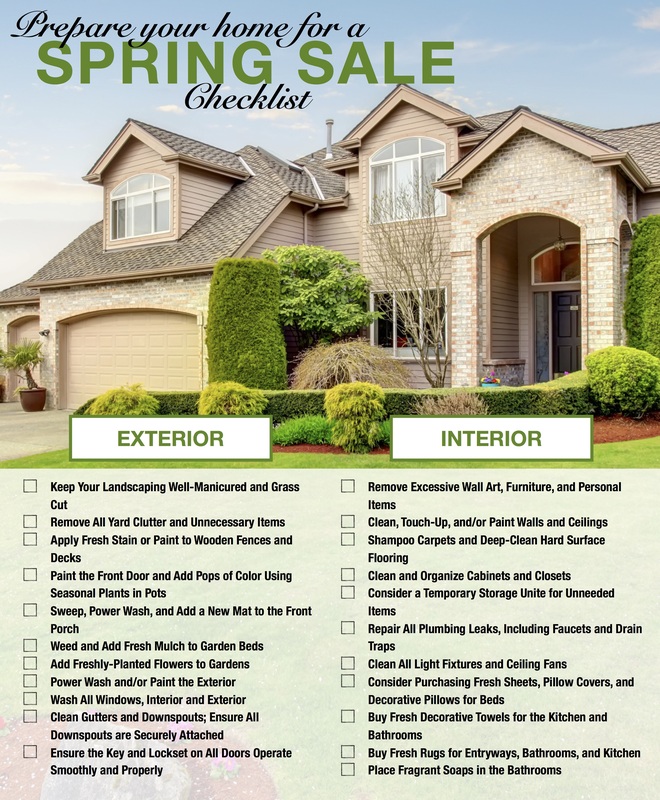 What should you do to get your home 'list ready'? Take a look at a couple of quick tips to get your home ready for the 2017 spring market; you'll be glad you did! Click here for a printable checklist. Would you like assistance preparing your home for the market? Give me a call; I would love to help in any way I can! Or, if you just have questions, I’m here for you as well!